Clarifies cloudy water in aquariums. 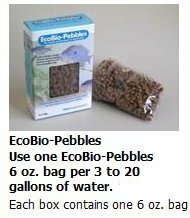 Easy-to-use, for simple aquarium care. 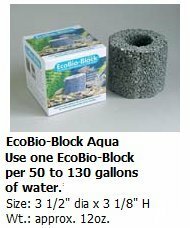 Use one EcoBio-Block per 50 to 130 gallons of water. 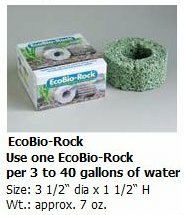 Use one EcoBio-Rock per 3 to 40 gallons of water.